I found myself almost blurting this out loud while watching Wait Until Dark, one of cinema’s most terrifying experiences, again recently. Shown as part of an Audrey Hepburn season, Terence Young’s 1967 chiller is renowned among film buffs of a certain vintage as a masterpiece of suspense and pschyo-drama, and it was with great pleasure that I took in a rare screening of this stylish little gem. 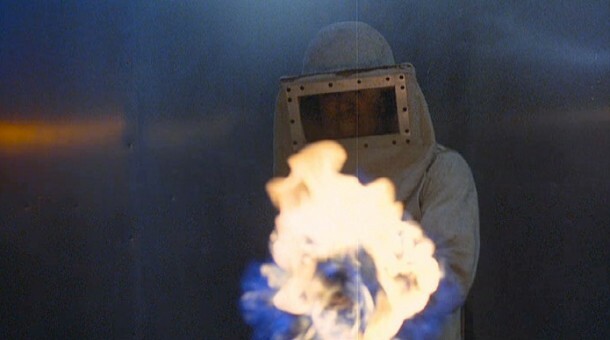 Having seen this film many, many years ago on some retro movie channel on satellite television, I remembered it being an overwhelmingly tense affair, with a memorably dramatic climax. 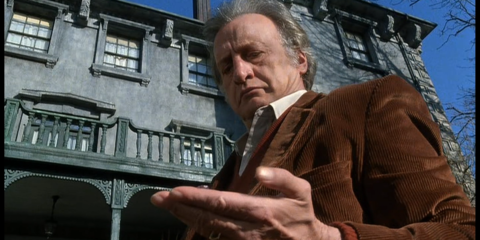 It also dawned on me as I entered the cinema how I’d never come across the film since, and that it retains an almost mystical air having gained lots of publicity on its initial release, yet remained something of a little-known fizzler ever since. 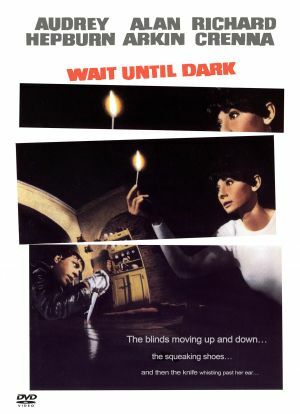 Wait Until Dark stars the angel-like Hepburn as Suzy Hendrix, a recently blinded woman who is terrorised by a trio of criminals, who are after a doll stuffed full of heroin that has inadvertenly found its way into her apartment. The film is based upon a Broadway stage production of the same name and the movie is, in essence, an on-screen play, with virtually all the action taking place in Suzy’s apartment. The film famously reaches an ultra-dramatic climax as lead villain Alan Arkin (in a portrayal of pure evil) moves in for the kill late at night, with Suzy creating a level playing field by destroying every lightbulb in her apartment (well, almost every one!) and plunging the flat – and the screen – into pure darkness. 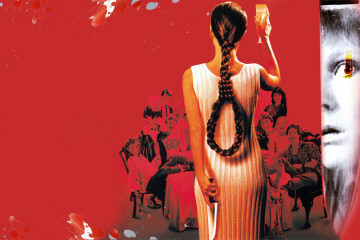 On its initial release in the 1960s, cinemas around the world would turn off all house lights for the final 10 minutes of the film, thus creating a unique effect – and guaranteeing the film lots of extra publicity as a chilling cinematic experience. Sadly, the cinema I was at did not go the extra mile and turn off every single light in the place, but the effect of the film’s climactic scene is nonetheless startling, and still has the power to scare the living daylights out of thriller fans today, some 37 years after its debut. Indeed, the movie is worth seeing just to witness the final showdown. The other main talking point to emerge from a second viewing of this film is the performance of Hepburn. Often dismissed as a pretty face and little else, the most famous person to be born in Ixelles, Belgium, proves, if this were ever needed, that she was, indeed, a fine actress, worthy of the highest praise. 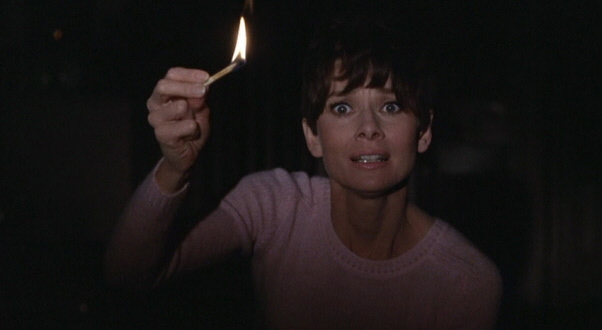 Her method approach to portraying a blind woman (she spent weeks pre-shoot in a blind school, studying movements, and even wore vision-altering contact lenses) is not something most film lovers associate with the fluffy, ultra-girly star of Breakfast at Tiffany’s, and Wait Until Dark stands as a firm testamant to her abilities and talents. Having said all that, she still has the Audrey Hepburn voice in this movie – I wonder if her contracts at the time forbade her from doing other accents? All in all, Wait Until Dark is a classic study of suspense. Its Hitchcock-like style and unique take on the classic fragile woman being terrorised by bad guys plot make it a winner with fans of the thriller genre, and it does not disappoint. One things for sure…..you won’t want to sleep with the lights out for a while.